More farmyard flatulence. I know women aren't suppose to find fart jokes funny. 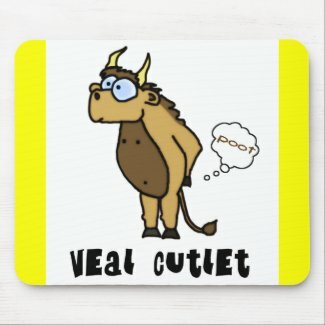 But, come on...Veal Cutlet? This is comedy at its finest! This cartoon is also available on hats, keychains, buttons, magnets, t-shirts, mugs, aprons and tote bags at Ticklemonkey.